“Carrera Panamericana,” the famous Mexican endurance car-race, was held for the third time from November 19th through 25th in 1952. 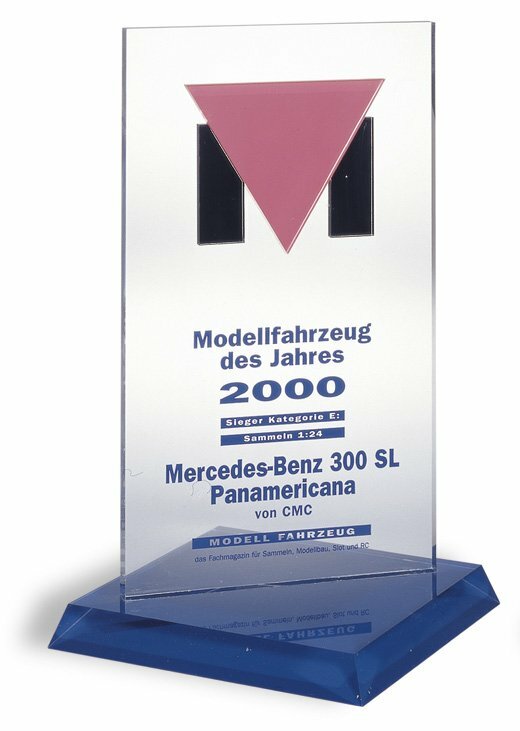 Although a first-time participant, Mercedes-Benz was crowned with a double victory in this race. The championship went to Karl Kling with the starting number 4. 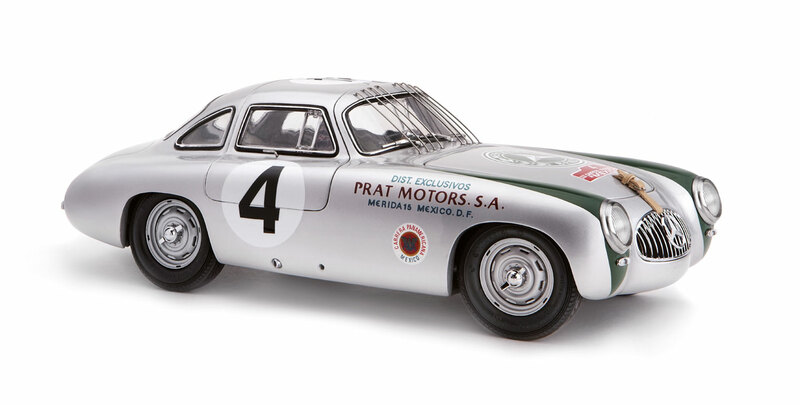 The 1952 “Carrera Panamericana” marked the biggest adventure of the year for the Mercedes-Benz racing department, whose performances in this race brought its long, successful history to a new height. Consisting of four cars and a huge crew led by “Alfred Neubauer,” the Mercedes-Benz team flew to Mexico in November 1952. The 300SL was powered by a newly-developed 3.1-liter engine with a maximum output of 177 hp. The race, which lasted five days and covered over 3,000 km, was highly dramatic. When it finally came to an end, Mercedes-Benz 300SL had not only set a new track record, but also won a double victory. 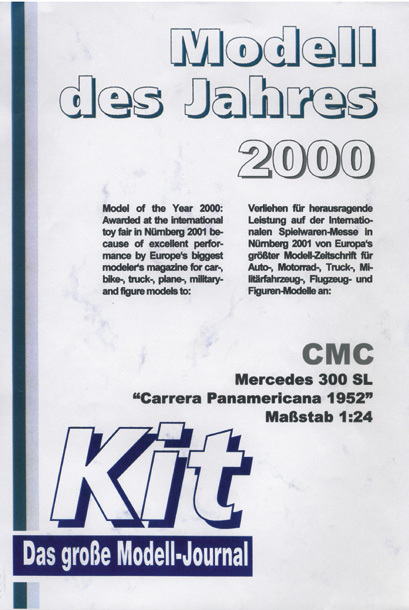 This model is an exact replica of Karl Kling’s championship car that bore the starting number 4. Additional characteristics include the green diamond logo on the front fenders and eight pieces of metal bar in front of the windshield. Earlier on the trial runs, a collision with a vulture had smashed its windscreen. The windshield was reinstalled with a reinforcement of metal bars, in case there was a second accident. Special features: Model M-023, starting number 4, eight pieces of metal bars with photo-etched ends in front of the windshield. Assembled by hand.